The book of Psalms is a book of songs! It contains prayers, outcries, moans, groans, and explosions of praise, as well as cries of excitement and thanks and just about every other expression of human emotion you can i magine. Knowles explains, “They are written by various people over a long period of time. King David wrote some of them, and priests and directors of the temple music wrote others. The Psalms cover the whole range of our experiences of God, from praising him for our creation and salvation, to complaining about our situation or circumstances. 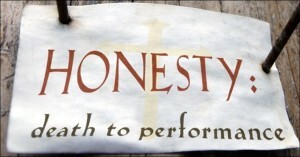 Above all, they are honest with God, and help us to talk to him straight from the heart.” They express the truth to God. The belt of truth is one of the parts of God’s armor for doing spiritual warfare. When we’re girded about with the belt of truth we have strength to stand up to attacks from the evil one when otherwise we might fall prey to his schemes. 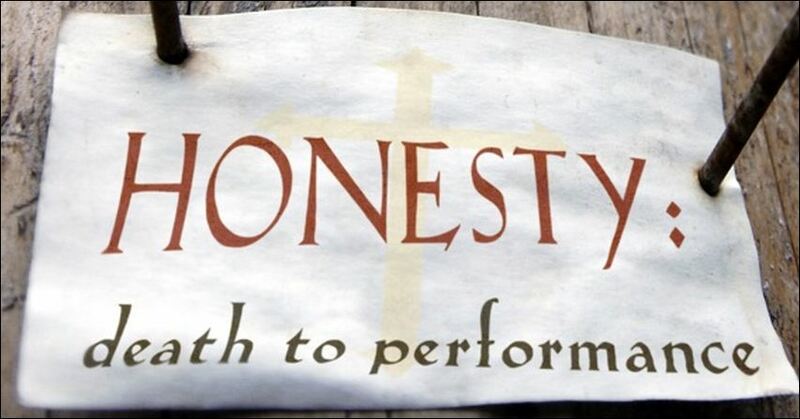 One of the key messages of the Psalms is honesty with God regarding our sinfulness. After his huge sin of adultery and murder, David breaks before God with truth. He writes, “Behold, I was brought forth in iniquity, and in sin did my mother conceive me. Behold, you delight in truth in the inward being, and you teach me wisdom in the secret heart” (Psalm 51:5). Without being truthful with God about our moral, ethical and spiritual failures, we’ll never find peace with God and we’ll be fighting battles on our own the rest of our lives. The Greek word for confession is “homologeo.” It means to “speak the same thing.” We must agree with God about our failures and weaknesses and sinfulness. We not only need to be truthful with ourselves, we must also be truthful with God. Expressing that truth about our failure and character will give us strength. Many think admitting they’re wrong is a weakness! In God’s economy it’s strength. John says (1 John 1:9) that if we “confess” our sins to God, He will always forgive us and restore us and cleans us and set us back on the right path of life with renewed vigor to fight the good fight. If we deny our sin, we are on our own. God sent His Son, to die for our sins. He’s the savior of sinners, or he’s not your savior. Max Lucado put it this way: “The Message is clear. As long as Jesus is one of many options, he is no option. As long as you can carry your burdens alone, you don’t need a burden bearer. As long as your situation brings you no grief, you will receive no comfort. And as long as you can take him or leave him, you might as well leave him, because he won’t be taken half-heartedly. But when you mourn, when you get to the point of sorrow for your sins, when you admit that you have no other option but to cast all your cares on him, and when there is truly no other name that you can call, then cast all your cares on him, for he is waiting in the midst of the storm.